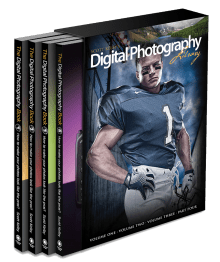 After purchasing my first DSLR in March of 2008, I received two pieces of advice: first, read the Digital Photography School blog and second, read Scott Kelby’s Digital Photography Books (there were only two volumes at the time). I signed up for an email subscription to DPS and carried those Digital Photography Books in my camera bag. You guessed it—my sister wanted me to shoot her wedding! By that time I would have only owned my camera three months. In my sister’s defense, she trusted me completely and never acted nervous. I, however, was terrified. Absolutely terrified. I gained more than information that day in Nashville, I found my people: I found NAPP. At the end of the day I signed up for a two-year membership. After the wedding I still carried around Scott Kelby’s Digital Photography Books until I’d read them cover to cover (and didn’t have to obsess over the wedding chapters). That summer I posted the photo that’s my before and after shot for today and mentioned Scott. I have no idea how he found my post, but two hours later Scott left a comment. Those simple words—much-needed encouragement from someone who didn’t know how much his work had influenced me—had a profound effect. The Kelby stamp of approval on my photo pushed me to edit it further; it’s appeared on Adobe’s website for over 3 years in the Lightroom section (click over to page 2 in the Customer Successes section). Since April 2009, I’ve been an Evangelist for NAPP, where everyone learns Photoshop. It’s not about religion, but about being an enthusiastic advocate, like Adobe Product Evangelists. If you join using my promo code—DAWN—you’ll save $10 on the $99 per year membership, plus receive Photoshop Down & Dirty Tricks for Designers FREE! If you qualify for an Education Discount (we do as homeschoolers), you’ll save another $10. Use the adjustment brush in Lightroom to decrease saturation on the whites of her eyes, which lightened them (we’d just gotten home from the pool and you could tell). Increase contrast on the blue in her eyes (I think I did this in Photoshop). Use the adjustment brush in Lightroom to decrease clarity on some of her skin, evening the tone. I didn’t add the vignette; it’s from the lens. I usually don’t work on eyes that much, but I’d missed my focus, which was more on her eyebrows, than her eyes. I edited her skin because it looked splotchy from the sun and the pool. I’m giving away the Scott Kelby Digital Photography Book Volumes 1-4 Boxed Set ! This is the two books I carried in my camera bag plus two more that have been released since then. These books are written in a conversational tone free of technical jargon; they’re filled with simple instructions for how to get the shots you want. Even though Volume 1 was released over 6 years ago, it is currently the #9 best selling photography book on Amazon! Find Day 1 and links to the whole series here. 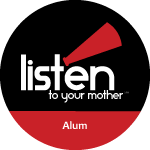 Sign up here to receive new posts in your inbox (click the link in the confirmation email from FeedBurner to complete your subscription). That’s so amazing that Scott actually found your photo and Adobe used it. It’s a beautiful shot. I get all kinds of nervous just taking photos of my own family. I have no idea how you kept calm enough to shoot a wedding! The only editing program I have is Lightroom 3. I purchased it after encouragement from two other photography bloggers recommended it. I’m still a novice. I’ll resort to picmonkey when I want a collage. I have dabbled with my husband’s photoshop program but really need to find a VERY user friendly guide….and the time to play around with the program. I keep thinking mid-January is the perfect time of year since we are housebound in NY. Maybe this will be my New Years resolution! Thanks for mentioning the books you use???? I have always loved that photo. Isn’t it wonderful how God sends us encouragement just when we need it? I am a HUGE Scott Kelby fan! I have gifted his books many times.. So excited they come in a box set now! PS Rafflecopter isn’t working or loading on your site right now. Currently I use Lightroom 3 and a little bit of Photoshop Elements. It’s so different from Lightroom that I am having a difficult time with it. I really only use Actions in Elements because i don’t really know how to use all the features. What an AWESOME giveaway!! thank you so much! Lightroom rocks. I have to reinstall it on my laptop after the crash. I’ll let you know how that goes. :) You are such an inspiration! I am so behind the times, I use Photoshop Elements and Picasa. I use Photoshop – when my husband (a professional photographer) lets me play with his Mac. Whatever comes standard on the Hp Computers is what I use. I can fix red eye and crop but that’s about it on the program. I use PIcasa. And I guess I should be embarrassed by that, but honestly, it works well enough for me. :) I do have Photoshop Elements, but I don’t know how to use it so I haven’t. Now THAT is embarrassing! I usually use PhotoStudio…the freebie software that came with my, um, *last* (not current) printer. I use the very basic photo editing software I got on my new (very basic) laptop. Before that my computer was so old I had to upload online to crop! If I want to get fancy these days I use photobucket. I’m trying to learn more about photography so I can make some really good decisions about cameras and software in the near future! 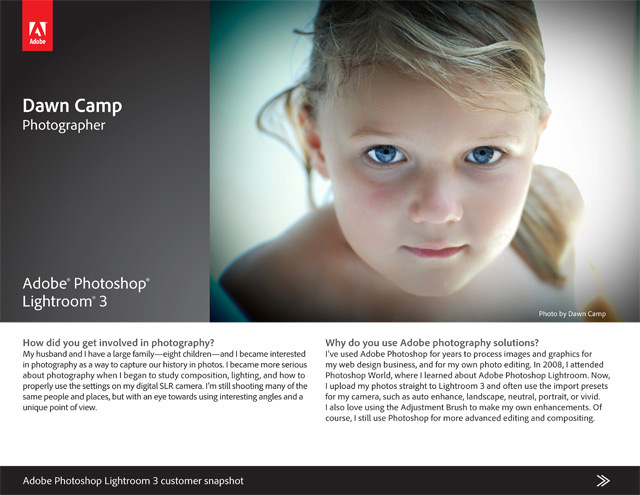 I use Lightroom 3 – love it, and want to grow in it. I don’t use any photo editing software right now. I’m hoping for a DSLR for my birthday in 10 days and then I will need to educate myself on all of that. I’ll be a newbie. Thanks for a great giveaway! I use CS4 to edit photos at the time. 5 days ago by dawncamp First time using my new membership to Gibbs Gardens—such a lovely, peaceful place! The quiet walk was good for my soul and my camera.